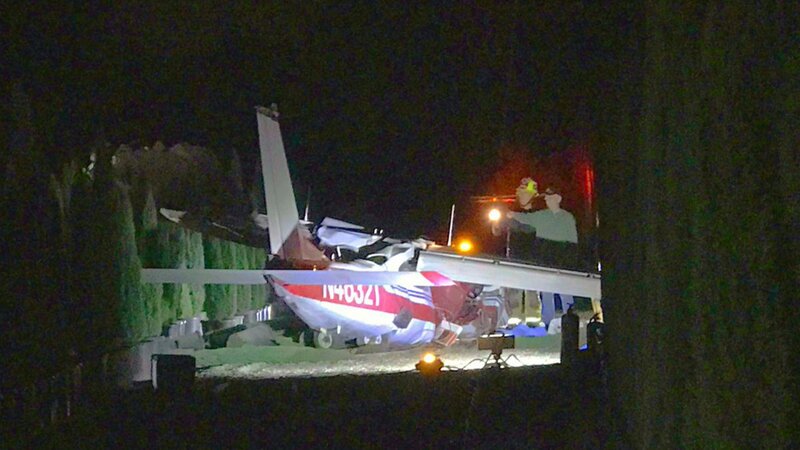 On September 30, 2018, about 1800 Pacific daylight time, a Cessna 177RG, N46321, impacted terrain following a reported engine issue during takeoff-initial climb from Brackett Field Airport (KPOC), La Verne, California. The commercial pilot seated in the right front seat was fatally injured and the airline transport pilot seated in the left front seat was seriously injured. The airplane sustained substantial damage to the wings and fuselage. The airplane was registered to and operated by the pilot under provisions of Title 14 Code of Federal Regulations Part 91 as a personal flight. Visual meteorological conditions prevailed in the area and no flight plan was filed. The flight originated from KPOC at 1755. According to multiple witnesses located near the accident site, the engine backfired several times before or during the takeoff roll on runway 26L. One witness, who was monitoring the air traffic control tower frequency, heard a male pilot declare an emergency, stating they had engine trouble. The tower controller subsequently cleared the pilot for a right turn to return to the airport. Witnesses further reported that the airplane impacted terrain while in the right turn. 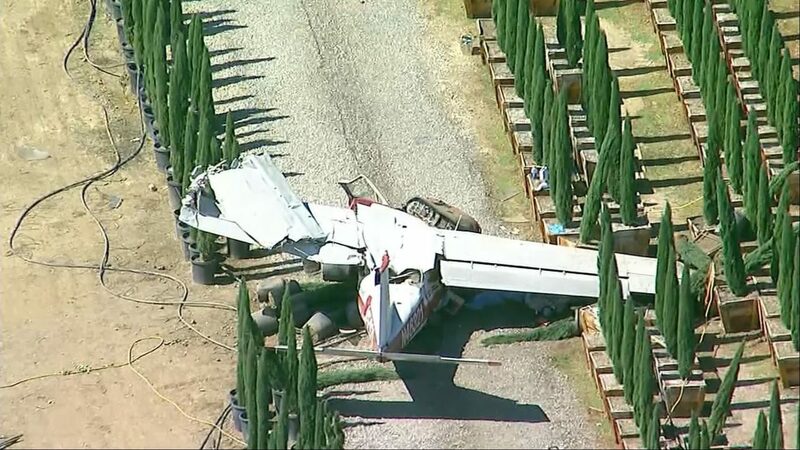 Examination of the accident site revealed that the airplane came to rest upright on a heading of about 265° magnetic. The airplane impacted terrain about 770 feet beyond the departure end of the runway and about 630 feet right of the runway centerline. All major structural components were located at the accident site. The wreckage was recovered to a secure location for further examination. 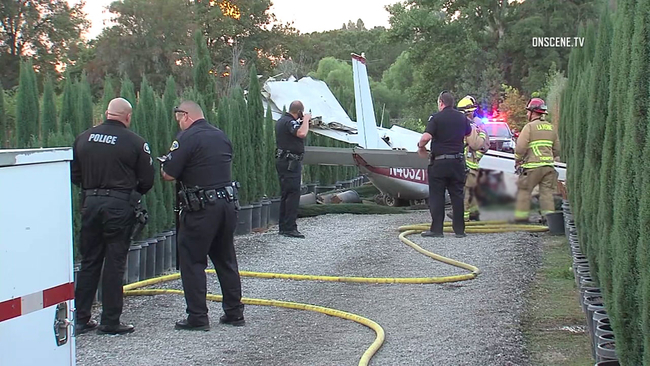 A single-engine airplane crashed near Brackett Field Airport in La Verne on Sunday, killing a man and injuring a woman, authorities said. 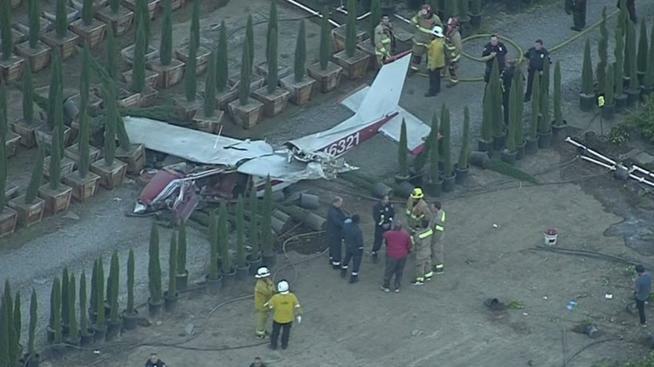 The crash was first reported about 5:45 p.m. along the 1600 block of Puddingstone Drive, adjacent to the airport, Los Angeles County Fire Department Dispatch Supervisor Cheryl Sims said. Paramedics encountered two patients, described as a man and a woman, she said. The man was pronounced dead at the scene. The woman was taken to a hospital in serious condition, La Verne Police Department officials said. "A Cessna 177RG Cardinal RG crashed under unknown circumstances into a plant nursery while the pilot was practicing approaches into Brackett Field Airport," Federal Aviation Administration spokesman Ian Gregor said. Both the Federal Aviation Administration and the National Transportation Safety Board are investigating, he added. Los Angeles County fire officials were assisting their counterparts in the La Verne Fire Department, Sims said. One person was killed and a second person was injured Sunday after a Cessna 177RG Cardinal RG plane missed the runway at a La Verne airfield, authorities said. The crash happened about 6 p.m. near Brackett Field Airport, a public facility at 1615 McKinley Ave., according to La Verne police. The Federal Aviation Administration said the pilot was practicing approaches onto Brackett Field before the aircraft crashed into a nearby plant nursery. The names of the man who died and the woman who was injured in the crash were withheld, pending notification of kin. The condition of the woman was unavailable. 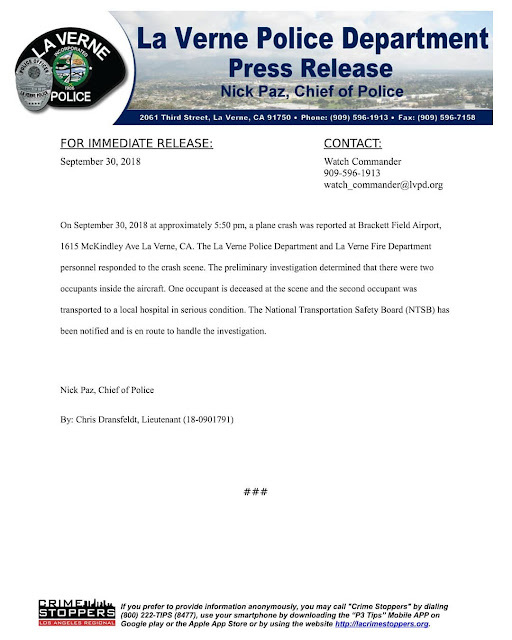 The crash will be investigated by La Verne police, the National Transportation Safety Board and the Federal Aviation Administration, which has inspectors en route to the scene.